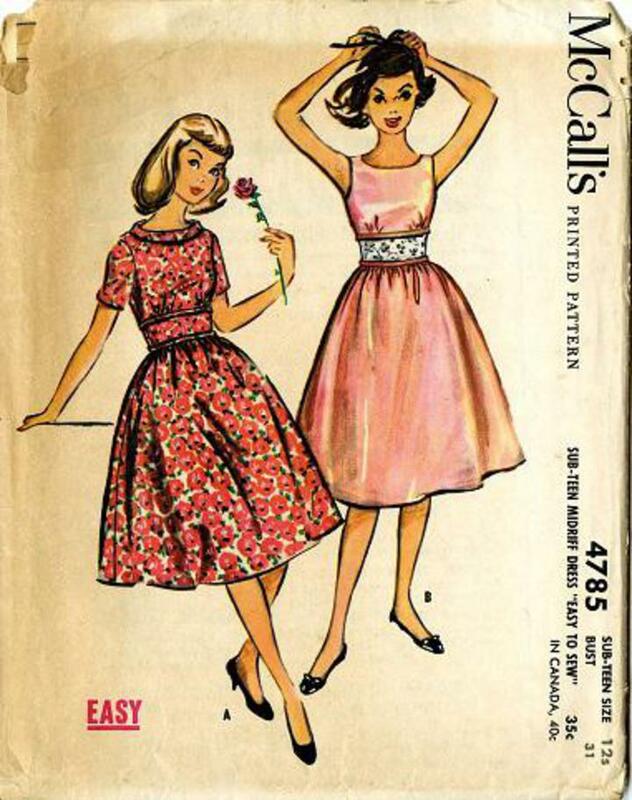 Vintage Pattern Warehouse, vintage sewing patterns, vintage fashion, crafts, fashion - 1958 McCall's #4785 Sub-Teen Midriff Dress "Easy to Sew"
1958 McCall's #4785 vintage sewing pattern, teen midriff dress, sub-teen size 12s. 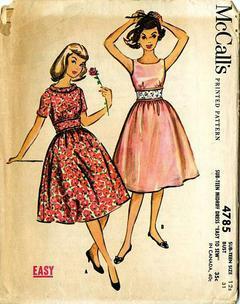 Midriff dress with fitted bodice and gathered-all-around skirt. Bias band at top and bottom of lined midriff which may match or contrast. With or without bias collar and short set-in sleeves. Left side placket.